In stock - low quantity. Order in the next 1 hour, 26 minutes and it will go out today! The perfect switching device for flat objects! 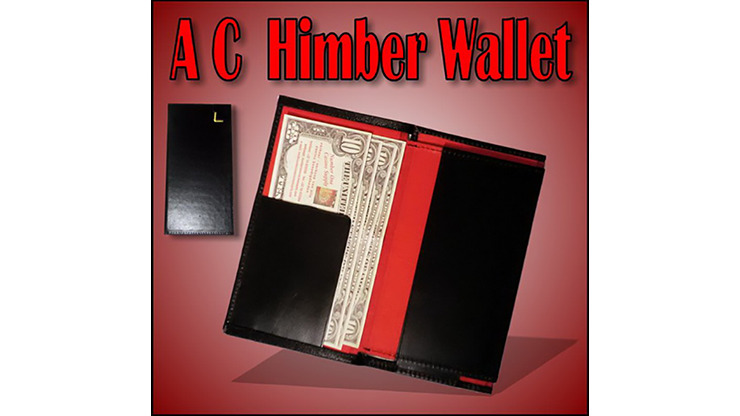 Most everybody is familiar with the Himber Wallet, but the AC Himber Wallet takes it to a new level. Made from top-quality leather, this wallet is designed to be ultra-slim and thin for added deception. Now you have the perfect wallet for switching bills, credit cards, playing cards - anything flat! Upgrade your Himber Wallet today and purchase yours now!